« Valentines around the Corner! 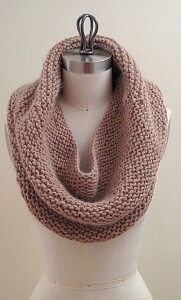 Since I’ve been back in the shop it seems that people are knitting one thing: the Jenny Wrap by Amanda Kaffka. I haven’t gone one day without someone exclaiming ‘Where is this pattern and what yarn do I need?!’. It’s quickly becoming a phenomenon. There are at least 2 reasons I think people are so enthused about Jenny. The first is the number of yarn combinations available and the gauge flexibility. 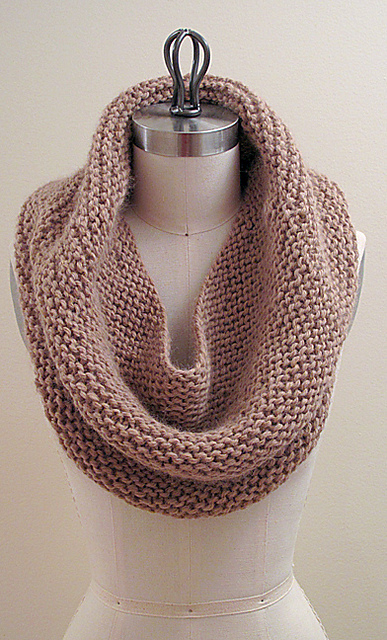 The original Jenny was knit with a chunky alpaca held together with a strand of mohair. Why am I being rather vague about the gauge? It isn’t really crucial. Something kinda chunky with something kinda thin works. Something medium held together with something else medium works. Something medium with 2 thin yarns works. It’s anything goes! The fabric of the Jenny wrap is a little on the looser side so if your yarn combo is a little thicker or a little thinner, the wrap will just be a little denser or a little more open. Find a combo that works out to a chunky weight in the end, that’s all there is to it. There is also a lot of flexibility in the yarn type. 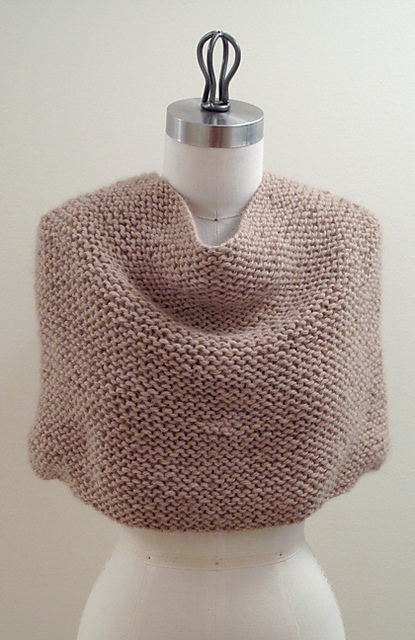 Originally it was knit up in an Alpaca and a Mohair, but the current model in the shop has sequins. 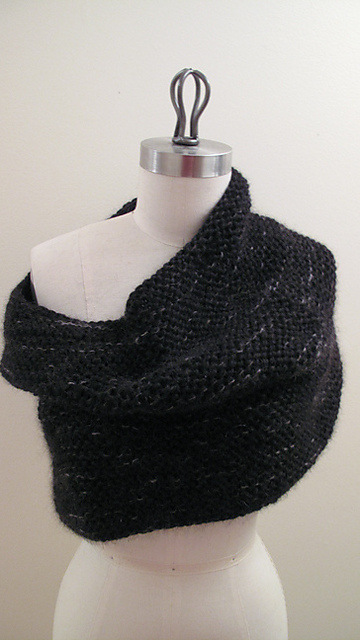 People have knit it in merino, silk, mohair, acrylic, sparkles, you name it! The Jenny wrap is also versatile in it’s wear. Around the neck, over a coat, around the shoulders, dress it up or dress it down. Make yourself one of these gorgeous wardrobe pieces in your personal combination! This entry was posted on Thursday, February 2nd, 2012 at 11:19 pm	and is filed under Uncategorized. You can follow any responses to this entry through the RSS 2.0 feed. Both comments and pings are currently closed.